MemoryShape breast implants are filled with a highly cohesive gel and have a unique tapered appearance. Unlike round breast implants, these implants are teardrop-shaped, meaning they're thinner at the top and gently slope to a fuller projection point near the implant's bottom to mimic the silhouette of a natural breast. Each implant features a natural look and youthful firmness. 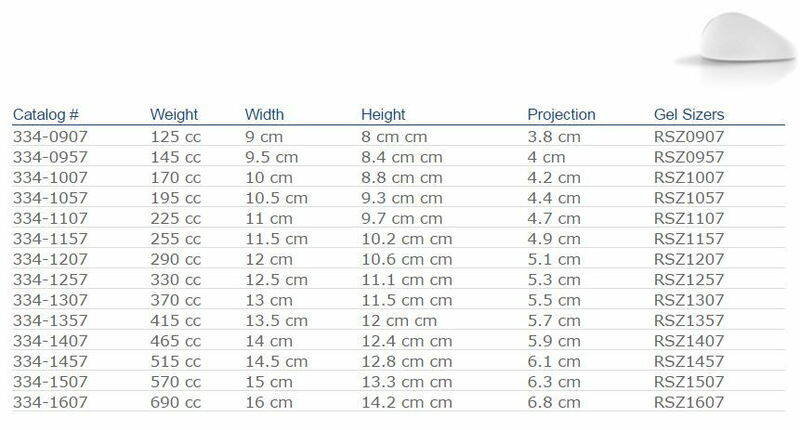 The chart below includes the weight, width, height and projection of the MemoryShape Low Height, Moderate Plus Profile breast implant.